They can set the stage for an engrossing story or they can warn the reader to move on. It’s a workhorse sentence and probably one of the most recognizable portions of your story. Whether you’re an avid reader or a casual skimmer, you probably know one or two popular opening lines. “Call me Ishmael.” When I begin to read a new story, I wonder what an author was thinking as they wrote that crucial first line. This idea percolated in my gourd as I was reading one of K.M. Weiland‘s excellent books on writing craft. This is an ongoing series of posts in which I ask authors to give one of their favorite first lines and tell a little of what went into it. And what better way to start than to feature the author who started it all. K.M. Weiland: This has ended up being one of my favorites of all the first lines for my books, but it was actually a last-minute replacement right before the book went to print. The original line which endured throughout all the drafts until the final one was, “Chris was dreaming again.” The premise of the book is that a parallel world exists to ours, in which our conscious minds exist during sleep and remember only as dreams. Only certain gifted people, such as the protagonist, are able to maintain an awareness of both worlds. I love the opening line I ended up with since it does a much better job of presenting a hook. Good hooks are all about implicit questions. “How can a dream kill you? Why is it trying to kill this particular character?” I felt like it did a much better job capturing the mystery and possibility of the story to follow. 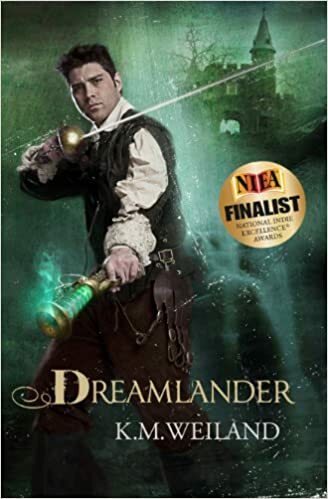 Buy Dreamlander and connect with K.M. on twitter @KMWeiland.